It's taken me about a month to settle on an auto focus strategy for my D700. I skipped several generations in film and digital SLRs, so getting up-to-speed with the D700 as well as re-learning some of the basics in focus and exposure has taken me a little longer than I'd thought it would. Thanks to a couple of good forum posts - in particular this one - D700 and autofocus at Photo.net - I now have a much better understanding of how auto focus works in the D700, and in particular the focus points and what to expect in terms of different scenes, lighting and camera orientation. There's a consensus that the cross type focus points - 15 of them located in the centre of the 51 AF point matrix mean that you may occasionally find it hard to focus vertically (portrait) when using one of the edge focus points. In low light with little contrast and a lack of horizontal lines under the focus point this might be true - and I've been able to reproducibly see the difference in test shots against a target - but in practice - outside and focusing on people at events, or on the street, I'm finding the edge focus points are working ok.
Not sure what came over me. It's not my birthday, and it's not Christmas. And I'm so deep into studies at the moment that I'll only be able to use it on and off over the next few months, but... 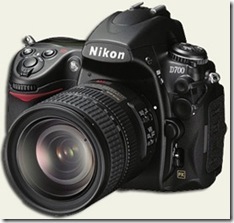 ...I bought a Nikon D700 yesterday. What an amazing camera. 12.1 Mpixels, full frame (FX), 3D Color Matrix II, 5-8 fps, and unbelievably fast and sharp in low light. An unfortunate incident today with Agoda Online Travel. This is a site I've used once before to make a reservation for a hotel in Hong Kong. Unfortunately on that occasion we had to cancel. This made me laugh. You know a product has long since reached the 'tipping point' when even your cleaning lady tries to sell it to you. I was sitting here minding my own..